Weedy rice, also known as red rice, is a plant that belongs to the same genus and species as cultivated rice. 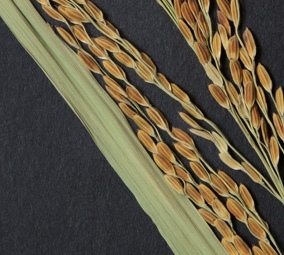 In other words, it is a very close relative of cultivated rice. Because of this, the herbicides we use in rice do not kill it. Why is weedy rice a problem? 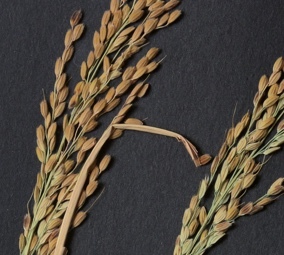 Weedy rice is one of the most damaging weeds of rice worldwide. It can affect yield and quality significantly. Reports from the southern US show that yields can be reduced by 60%. How extensive is the weedy rice problem in California? California was practically free of weedy rice for the past 50 years but it has recently resurfaced. At the end of 2016, it was confirmed in over 10,000 acres. What should I do if I suspect I have weedy rice in my field? Follow the identification guidelines in this handout to rule out weedy rice. 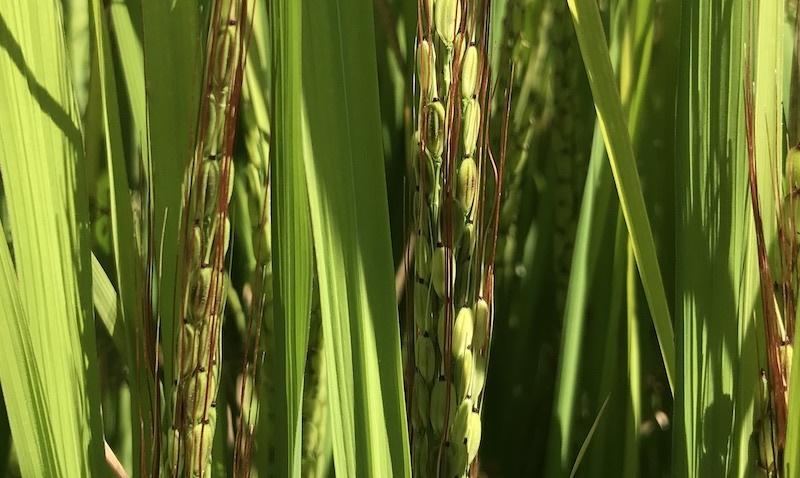 Weedy rice (aka red rice) is a major problem in rice production in many parts of the world, and has been identified on at least 10,000 acres in California, as of 2016. Once weedy rice is established in a field, it is very difficult to eradicate since weedy rice plants cannot be controlled with rice herbicides. 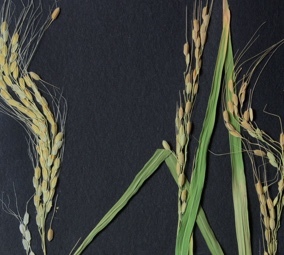 Furthermore, weedy rice seeds can survive for a long time in the soil, meaning that eradication measures become more difficult if plants are allowed to produce seed. 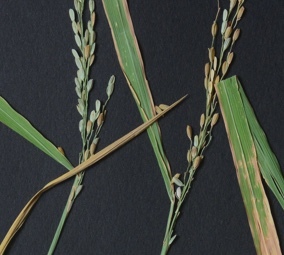 Yield reductions in the southern US are as high as 60% in weedy rice infested fields. If weedy rice contaminates other rice during drying and storage, extra milling and sorting is required, which increases costs and may cause cracking and reduce milling yields. Once all watergrass herbicide applications have been made, inspect surviving watergrass-like plants to rule out weedy rice. Check the collar to see if there is a ligule and auricle. 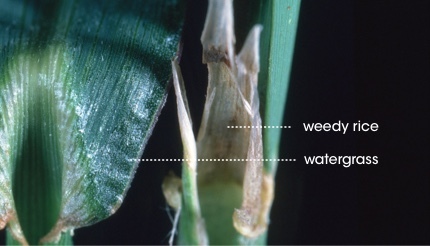 If ligule and auricle are absent, then the plant is watergrass. 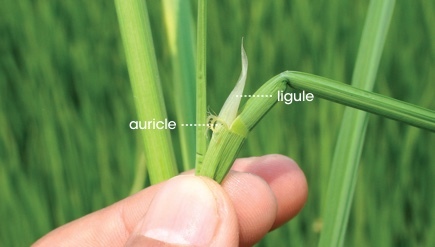 If ligule and auricle are present, then the plant is rice or weedy rice. If a plant looks suspicious, contact a UCCE Farm Advisor to confirm the identification. If the identification is positive, follow the best management practices developed by UCCE. All equipment coming into California from areas known to have weedy rice infestations must be thoroughly cleaned and inspected by the County Agricultural Commissioner. Only use certified seed or seed produced in the Quality Assurance Program. not leave them by the side of the field. Keep water on the field with no drainage until harvest. from an affected field to a clean field. Flood infested fields for as long as possible. Fallow infested basins or fields. Apply flush irrigation in the spring and summer to geminate weedy rice seeds. Use a burn down herbicide or tillage to kill emerged plants. 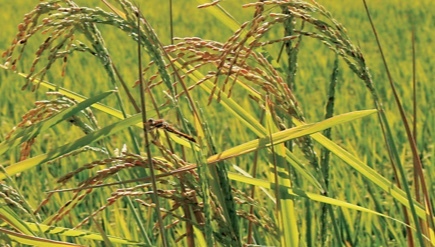 allows for the use of herbicide modes of action which are not available in rice. To minimize the movement of weedy rice seed, plant material and contaminated soil, the University of California, in coordination with the California Rice Research Board and California Rice Commission, will be implementing the following weedy rice sample collection protocol, effective 2017. Suspected weedy rice seed, plant material and soil should not be transported out of the possibly contaminated field. The Advisor will visit the field, and if necessary, take a leaf or seed sample, depending on the timing and maturity of the plants. Growers and Pest Control Advisers do not have to be present in the field for collection. 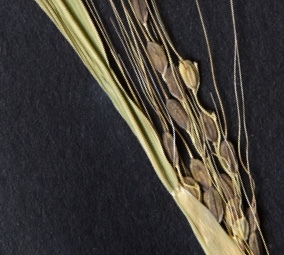 The status of the sample (whether or not it is weedy rice) will be given to the submitter as soon as identification is confirmed. Alternatively, you can submit a suspect sample using the Weedy Rice Reporter app. The app was created to facilitate the submission of any suspect plants to UCCE advisors. The app allows you send up to six pictures and a GPS location taken with your phone to UCCE advisors so that they can confirm or rule out weedy rice. Only UCCE advisors will be able to access any app submissions. A sample may need to be taken from the field to make the final determination.